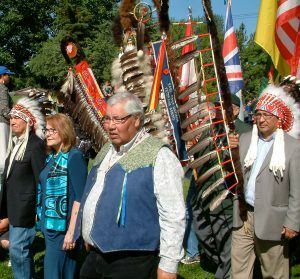 TRC Commissioners lead a procession at the national event held in Saskatoon in June 2012: Chief Wilton Littlechild, Dr. Marie Wilson, and Chief Justice Murray Sinclair. 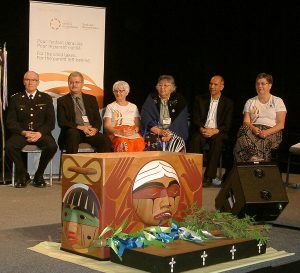 Church and community leaders were among those listening to Residential School survivors at the TRC national event in Saskatoon. 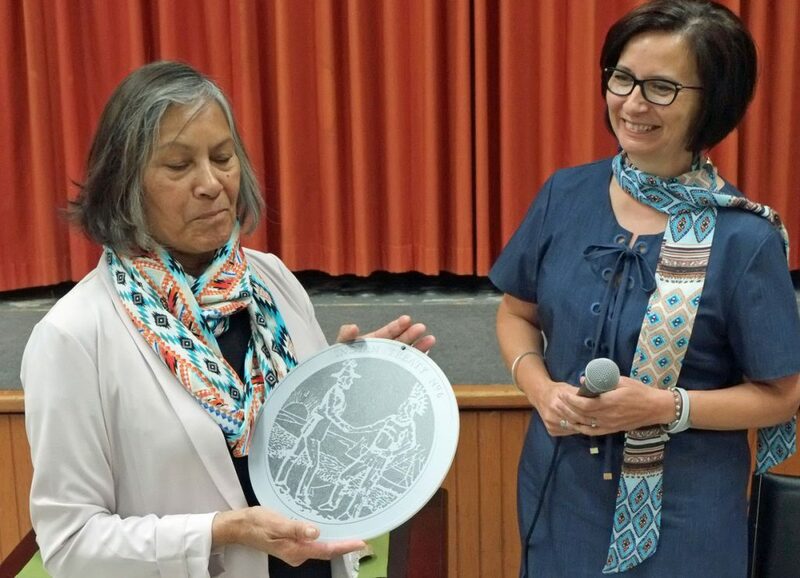 Elder Ruth Cameron shows a Treaty Six Medal during a Treaty Elders presentation held at Sacred Heart Parish in Davidson, SK, welcomed by parish representative Mary Anne Morrison. 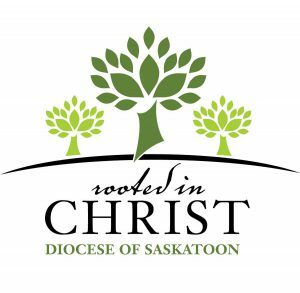 With assistance and advice from the Office of the Treaty Commissioner and the Diocesan Council of Truth and Reconciliation, several parishes in the diocese of Saskatoon are embarking on a path of Truth and Reconciliation. Some have held information evenings, others have participated in a Treaty Elder presentation or have installed a Treaty Six Medal.